English winery Chapel Down have announced the launch of their first gin and vodka produced from grapes from the 2016 harvest. Chapel Down Bacchus Gin and Chapel Down Chardonnay Vodka bring together winemaking expertise with modern distillation techniques to produce a unique range of English spirits. The limited edition spirits, ‘The Spirit of Chapel Down’, are packaged in an elegant, custom-made 70ml glass bottle which links back to the two production processes; distillation and winemaking. The bottom half of the bottle reflects a cut-glass crystal decanter and the frosted top half of the bottle denotes the classic shape of a wine bottle. Chapel Down Bacchus Gin 2016 (41.2% ABV) is produced from distilled Bacchus grape skins, fast gaining notoriety as England’s answer to Sauvignon Blanc, from the 2016 Chapel Down harvest and infused with juniper, coriander, elderflower, orris, angelica, lavender, orange peel and lemon. The result is a highly aromatic gin with heady aromas of citrus fruits and a herbal finish. It will be released early 2018. 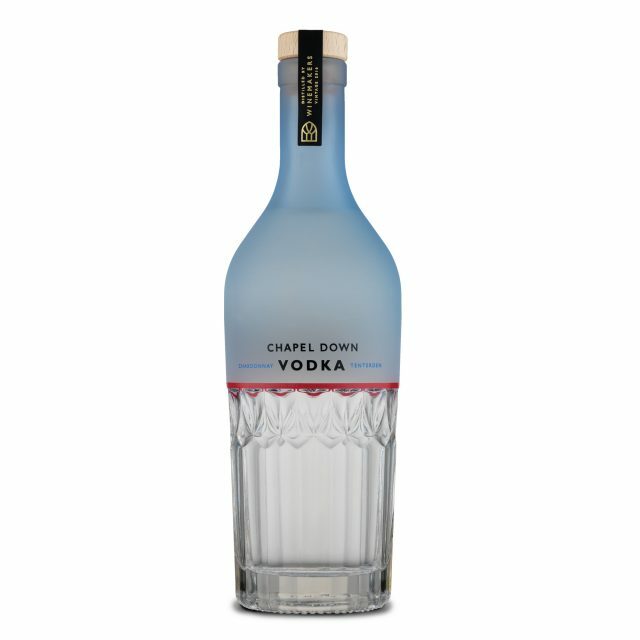 Chapel Down Chardonnay Vodka 2016 (40% ABV) is produced from distilled Chardonnay grape skins also from the 2016 Chapel Down harvest. An expressive vodka with delicate citrus and floral aromas leading to a smooth, creamy palate that is versatile in an array of classic serves and cocktails. In 2011, they launched the premium range of Curious Beer & Cider; each produced with a winemaking twist, re-fermented with Champagne yeast. Last year, they released a 23 year old brandy, the first to be made from English grapes, which was hailed by leading spirits writer Johnny Ray as “utterly, completely, overwhelmingly, mouth-filling delicious”.